Caving to public pressure after 57 years of resistance, Mars, Incorporated has announced that it’ll soon be selling packs of Starbursts that only contain the pink ones. (“Stawberry,” technically, although they pretty much just taste like “pink” to us.) No longer will fans of the waxy chews be forced to rely on fate or happenstance to ensure access to the frequently preferred flavor. No longer will they scream in anguish at the sight of a pack overflowing with yellow or orange. 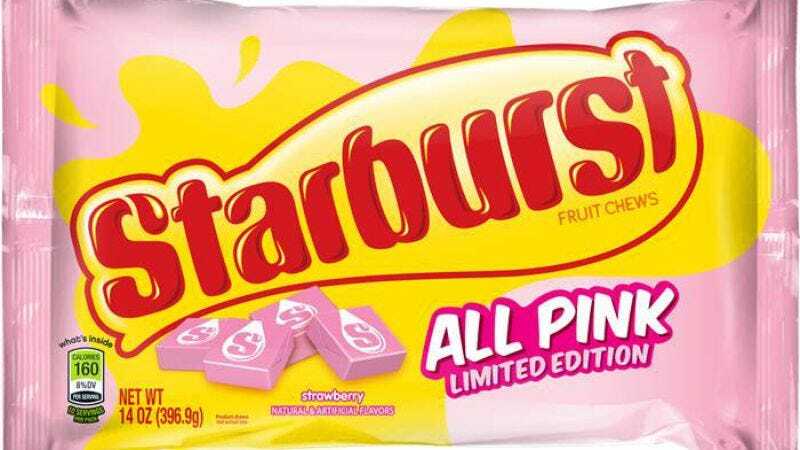 But as Starburst giveth, so doth Starburst taketh away: Mars has announced that the all-pink packs will be a limited time offer, available only through this April. So stock up, friends, and hold tight to a dream that was too good for this sinful, lemon-flavored Earth.